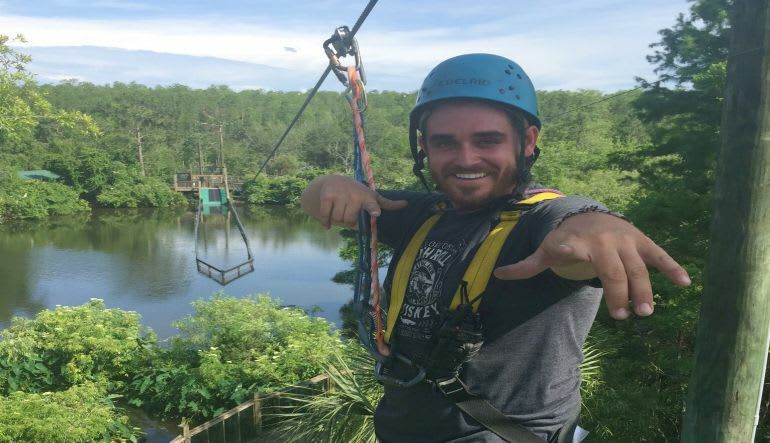 Travel 1,200 feet of ziplines elevated over seven stories while getting unrivaled views of Floridian wildlife! 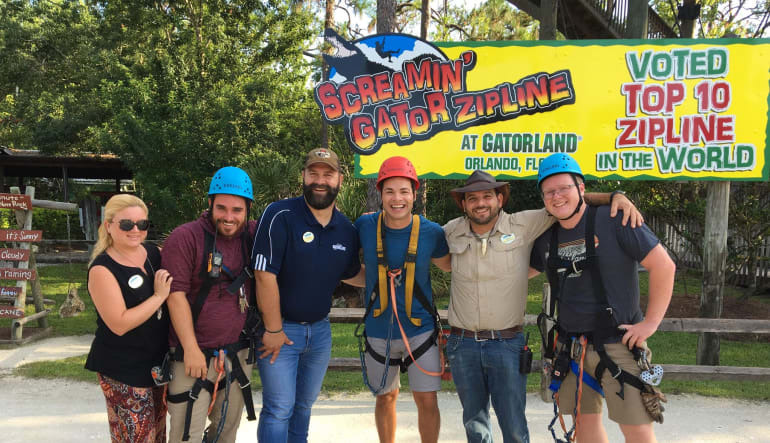 This scaly, sky-high jaunt ups the adventure by pairing the rush of Orlando ziplining with the thrill of croc and gator watching! Meet the happy crew, learn the basics (it doesn’t take long to get the gist of things) and get geared up for your adventure. 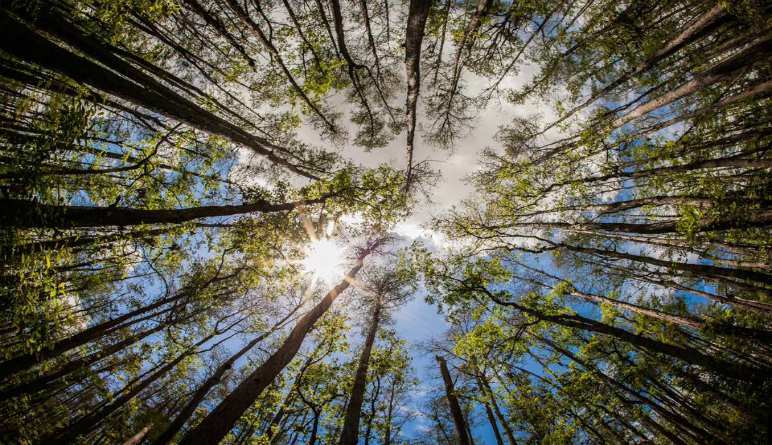 Glide treetop to treetop on five high-intensity ziplines for a full two hours. Ziplines range from 230 feet to over 500—you’ll hit speeds of up to 30mph! Zip onto multilevel platforms and traverse thrilling elevated walkways. 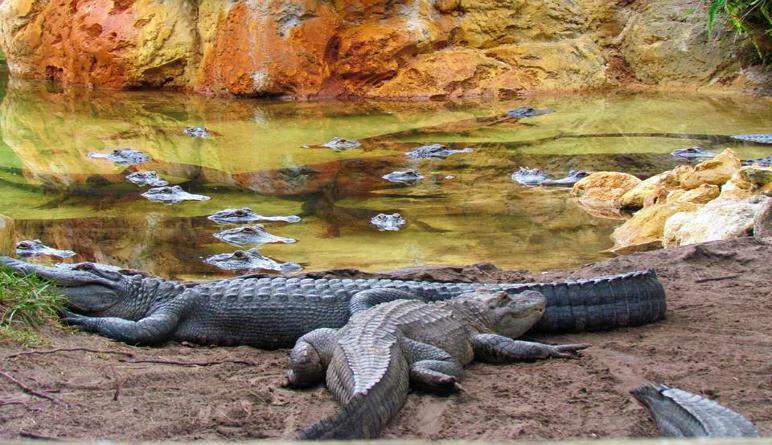 Travel over the crocodile exhibit, which houses both Cuban and Nile crocs! Next, zip over to the alligator breeding marsh. Here, 130 giant alligators lick their chops just a few stories below your toes! Once the adventure wraps up, you’ll receive admission to the famous gator park. Enjoy a whole day of discovery! Trust us, it doesn’t get much wilder than this. The vantage points are second to none, the wildlife is incredible and these ziplines are some of the best in the nation! Great time, we totally enjoyed our day! We had a very enjoyable time. The two who were responsible for our safety and enjoyment were absolutely pleasant and knowledgeable of what they were doing. It was a very fun and safe day for us. All children under 10 years of age must be accompanied on the zipline by their guardian.